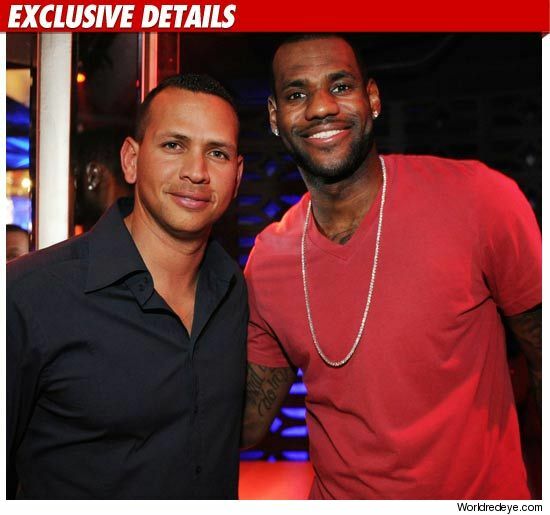 The day after the New York Yankees were eliminated from the playoffs, Alex Rodriguez partied at a Miami nightclub with someone who is no stranger to playoff failure … LeBron James. The two kicked it at the grand opening of the Arkadia at the Fontainebleau Hotel on Saturday night to attend Drake’s 24th birthday party. Spies inside the club tell us both A-Rod and LeBron partied until 1:00 AM — and were each seen drinking Grey Goose La Poire vodka. Since they’re each worth roughly a bazillion dollars — who do you think pays for drinks?